“Our message is stronger than ever. Please stop the fighting. Please stop the killing. Please drop your guns.” Juan Antonio Samaranch, President International Olympic Committee speaking at the Winter Olympics, 1994. The sports arena has often been used in modern-day diplomacy to advocate for peace, but it has also been used to aggravate existing conflict. George Orwell wrote in The Sporting Spirit (1945) that sports is “war, minus the shooting” and has the potential to bring out the worst characteristics of nationalism. How that is controlled, or even amplified, is in the hands of those who hold the political controls. In the days following the Pulwama incident, tensions once again began to escalate between Pakistan and India. While India’s very first reaction was the imposition of a heavy economic sanction, many of the responses which followed came in the form of sports sanctions, primarily impacting something very close to the hearts of people on both sides: cricket. The fourth edition of the Pakistan Super League (PSL) became the primary target of the increasing hostility and vitriol. Prominent Indian-owned media companies and broadcasters, including IMG Reliance, D Sports and CricBuzz, terminated their contracts and coverage of the tournament, leading to a virtual PSL blackout in India. The Board of Control for Cricket in India (BCCI) also came under extraordinary pressure from prominent Indian sporting personalities, media outlets and ordinary citizens, to boycott the upcoming Pakistan-India match at the cricket World Cup (June 2019). Outside of cricket, other sports have also been effected. It is suggested that Pakistan supplies 90% of the hockey sticks used in India, and would suffer heavily from an increase in customs duty of 200%. As a result, the hockey fraternity in India would have to quickly find new suppliers who could match the demand, as well as replicate the quality from across the border. The Shooting World Cup, which was taking place in New Delhi a week after the attack and was intended to be an Olympic qualifier, also got dragged into the conflict when Pakistani athletes were not granted visas to participate in the tournament. Further economic sanctions would come later, followed by military responses, but it appears that the use of sports sanctions was going to kick start this ‘Operation Isolation’. However, these sanctions did not prove to be effective in isolating Pakistan on the sports field. We saw the PSL replace its distributors almost immediately and have yet another successful edition. Regarding the World Cup, wide coverage of the discussions between the BCCI and the International Cricket Council (ICC) were made public, including copies of the communication between the two bodies. It is clear that the ICC and the organising team of the World Cup do not condone any political battles being played out on the cricket pitch. Perhaps the most surprising stance came from the International Olympic Committee (IOC) in response to Pakistan’s plea regarding the Shooting World Cup. Not only did the IOC revoke the tournament of its Olympic qualification status for the particular discipline, they further went onto suspend all discussions with the Indian government regarding hosting future sporting events in India. The IOC also recommended that all international federations should refrain from hosting any international sporting events in India until written guarantees are provided assuring participation of all athletes. This may prove to be a landmark ruling from the Olympic governing body, which has traditionally not taken such a publicly strong stance on political matters. This is especially true as the initial plea was only to do with the shooting event. However, India is no doubt going to work to revoke this suspension as quickly as possible, even if it means salvaging its ties with Pakistan. Failure to do so could mean that a number of its hosting rights and bids would be up on the chopping block, including the FIFA Under-20 Women’s World Cup (2020), the Hockey World Cup (2022/2023) and ICC Cricket World Cup (2023), among others. This of course is not the first time tensions have escalated between the two neighbours, nor is it the first time that the field of play is used for sanctions to be deployed and political statements to be made. 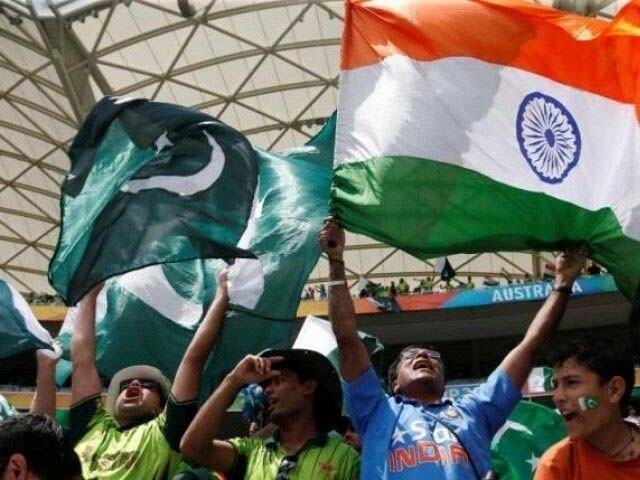 India-Pakistan cricket relations have been turbulent ever since they kicked off in 1952. There have been many positive outcomes where both countries have hosted each other on multiple occasions and opened up their borders for citizens to travel in support of their teams. At the same time, boycotts from governing bodies and protests from ordinary citizens have also had the opposite impact on cricket and other sporting ties between the two nations. The Indian cricket tour to Pakistan (2004) is considered as one of the four most prominent acts of sports diplomacy, with the ‘Christmas Truce’ of World War I (1914), where German and British soldiers were said to have held informal sessions of casual football on Christmas day, being number one. Even outside of the subcontinent, sports have always been a feature of international diplomacy, albeit a more subtle one. We have seen countless protests and boycotts when it comes to international sports, such as the Black Power Salute (at the 1968 Olympics), America’s boycott of the 1980 Olympics during the Cold War, the Soviet Union’s boycott of the 1984 Olympics, and the international sporting boycott of Apartheid South Africa. However, it would not have been difficult to foresee the potential for sports to have these impacts when the Olympic movement was first initiated. After all, it was developed on the sole idea of using sports to encourage and improve peace among the warring kingdoms in Ancient Greece. The way international sports are conducted and covered today, indicates their potential and ability to bridge gaps between nations. With massive potential to be used as a catalyst in international diplomacy and break barriers, the power of sports can only be as strong as the will and commitment of our global leaders. In an era where hard power is frowned upon by the international community, governments are increasingly inclined to use alternative modes of diplomacy, sports included, to achieve their political goals and shape their international image. If we, the people, can understand the relationship between the two, then we can also influence its impact. This isn’t the first time sports have been used to convey and act upon undertones of conflict and hate, and it unfortunately won’t be the last. For now, we can be aware of how these actions relating to the field of play can be used to condition or influence certain emotions within us, and also pray that our leaders use the pitches and courts to help us come together, rather than to push us apart.